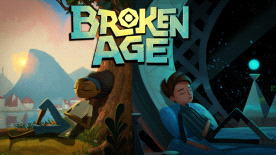 The first graphic adventure by Tim Schafer in sixteen years, Broken Age began in a historic, record-breaking Kickstarter campaign. Now it's here in all its beautiful, 2D, hand-painted glory, with an original orchestral soundtrack and an all-star vocal cast. Act 1 is available now, and the act 2 conclusion will arrive as a free update early this year!